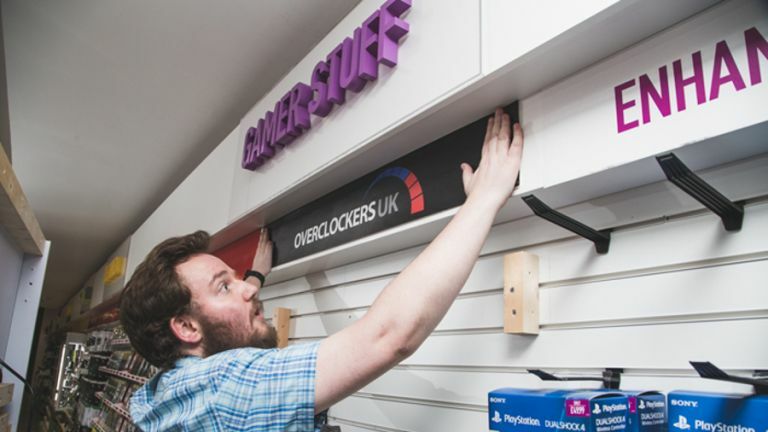 High street retailer Game has expanded the number of stores stocking gaming PCs, components and accessories by online PC gaming retailer Overclockers UK. If you've tried to buy PC hardware or games on the high street in recent years, you'll know that it's a near-impossible task. The popularity of consoles and the rise of digital content delivery platforms such as Steam means it's often easier to find what you need online. However, Game and Overclockers looked to redress the balance by setting up dedicated areas to show off PC gaming hardware in two of Game's stores in December. While that's not a huge deal in itself, you can also trade in your old hardware toward the cost of a new gaming PC, components or anything else Overclockers sells online. It means that you won't lose out by trading in your old consoles and devices for far less than they're worth, or going through the hassle of selling them on eBay in order to afford afford new PC gaming kit.